Thrillseekers are going to love a new initiative from Panasonic Jaguar Racing. 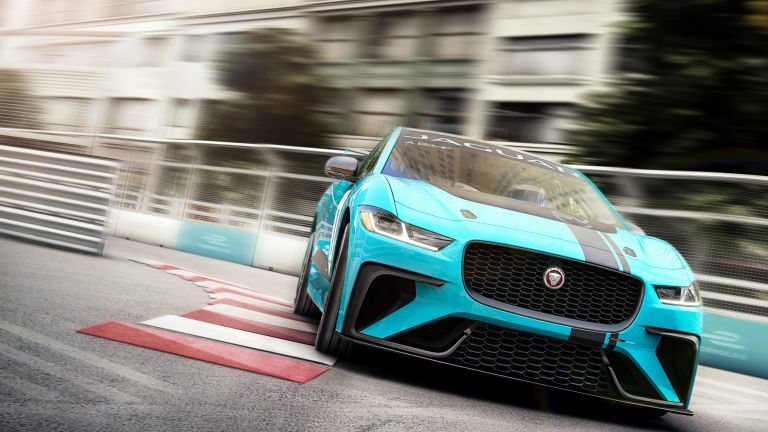 Not only is the team back for another bash at the Formula E championship in 2018, but the company has also launched the world’s first championship for production-based electric cars called the Jaguar I-PACE eTrophy. Unsurprisingly, the featured car will be the I-PACE, an innovative five-seat battery electric sports car, which is being built by Jaguar Land Rover Special Vehicle Operations. And, early reports suggest that it’ll go every bit as good as it looks. In addition, for up to 20 drivers at each of the ten race series, there’s going to be an ‘Arrive and Drive’ package that allows people to turn up with their crash helmet and join the grid themselves. The Jaguar I-PACE eTrophy will be the support series for the 2018 FIA Formula E Championship, and will commence late next year when the production version of the I-PACE is also unveiled. With races taking place in the likes of Hong Kong, Paris, Sao Paolo and New York, the concept is being seen as a valuable opportunity to develop Jaguar’s ongoing commitment to electrification in its production vehicles. Panasonic Jaguar Racing has a trio of drivers now in place too, with Nelson Piquet Jr. joining Mitch Evans and Ho-Pin Tung to boost the ranks of its Formula E team. Meanwhile, central to all this is the new Formula E car itself, the Jaguar I-TYPE 2, which was recently unveiled at Jaguar’s design centre in Coventry. Jaguar says that technical specifications, race calendar and costs for the Jaguar I-PACE eTROPHY will be released in 2018, but they anticipate that demand will be high. Places will be awarded on a first come, first served basis from entrants and drivers holding the relevant international race licence.